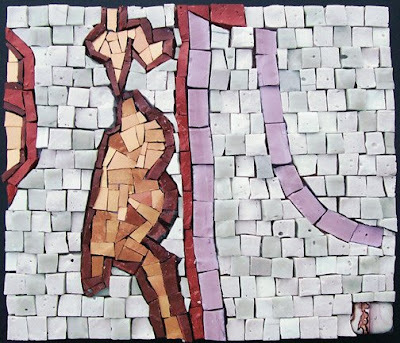 Margo Anton's Mosaic a Day: "Art Imitating Life 2"
I really enjoyed doing the art imitating life from yesterday, so I decided to try another one. I tried to get a really close up photo of the rock I used as my design, but I couldn't manage to get it close up enough. I like how it turned out, but I think yesterday's was better.